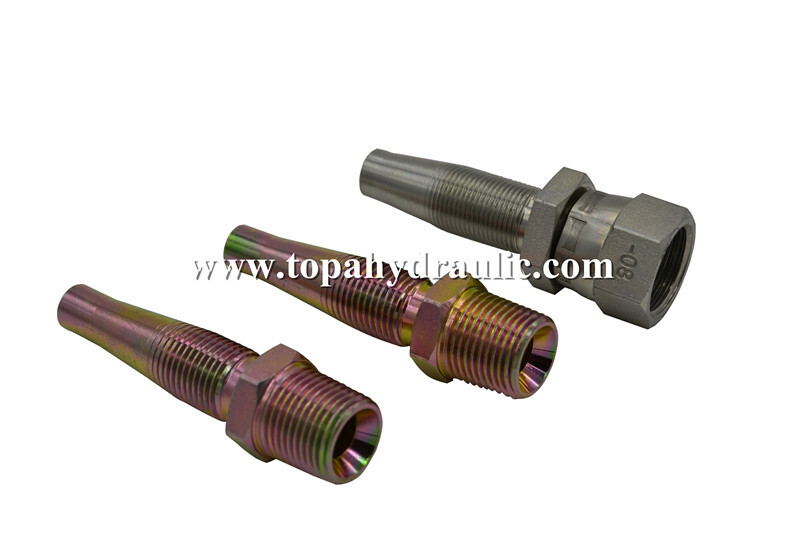 Reusable Hydraulic Fitting are recommended for hydraulic applications with moderate pressure where there is a need for assembling hose lines without equipment. 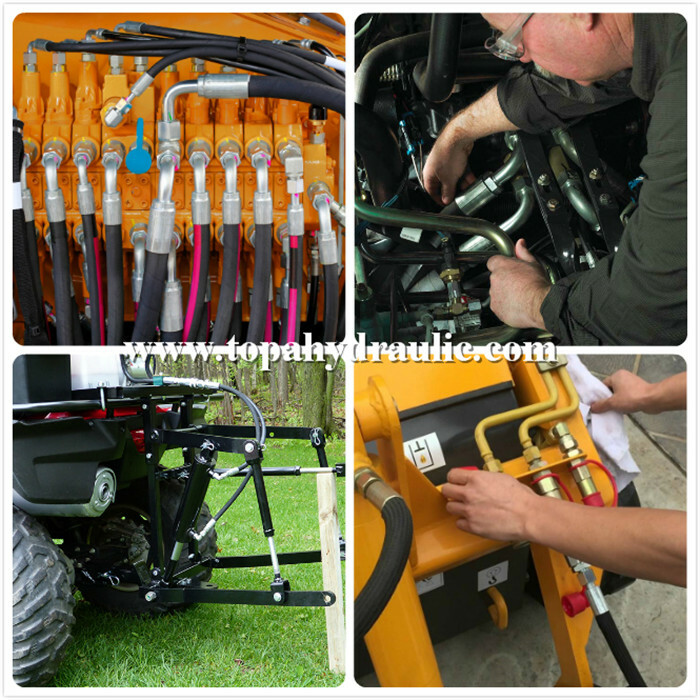 Hydraulic systems create a lot of pressure in the hoses and Reusable Hydraulic Hose Fittings moving hydraulic fluid through the system.The weak spot in the system rests in improperly installed fittings. Crimped fitting support the pressure created by the hydraulic fluid but once they are installed, they cannot be reused. 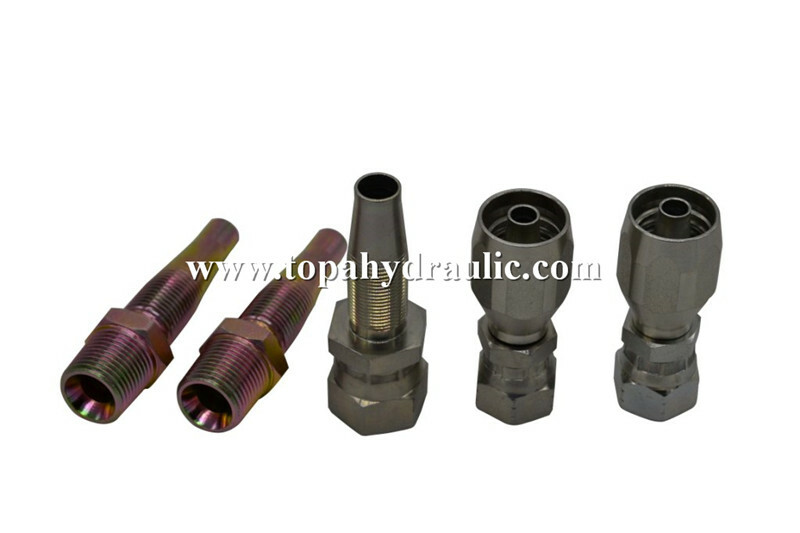 Being a client centric manufacturer, we are involved in offering a wide assortment of hydraulic fittings. Demands of our devices are increasing day by day owing to its consistent functioning and high functional efficiency. Our devices are acknowledged for their lightweight and uninterrupted performance. 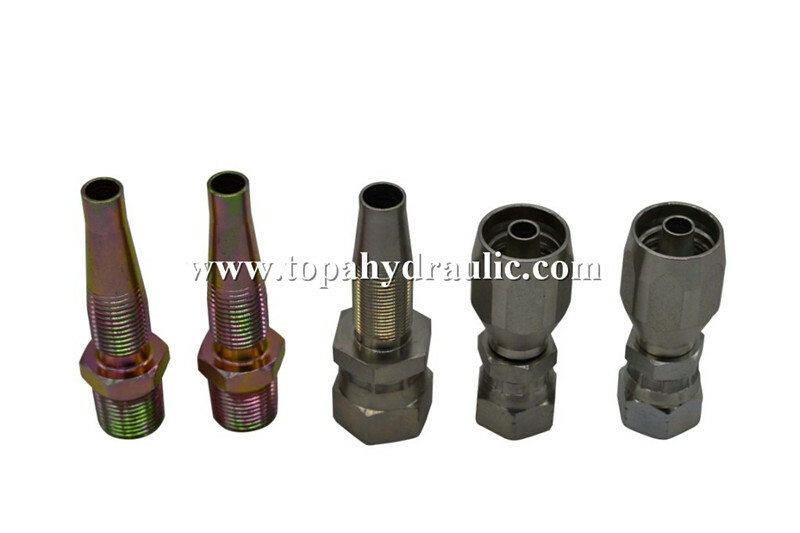 Hose fittings facilitate the installation of a hydraulic system and include products such as steel pipe, JIC and SAE fittings, as well as quick disconnect couplings. 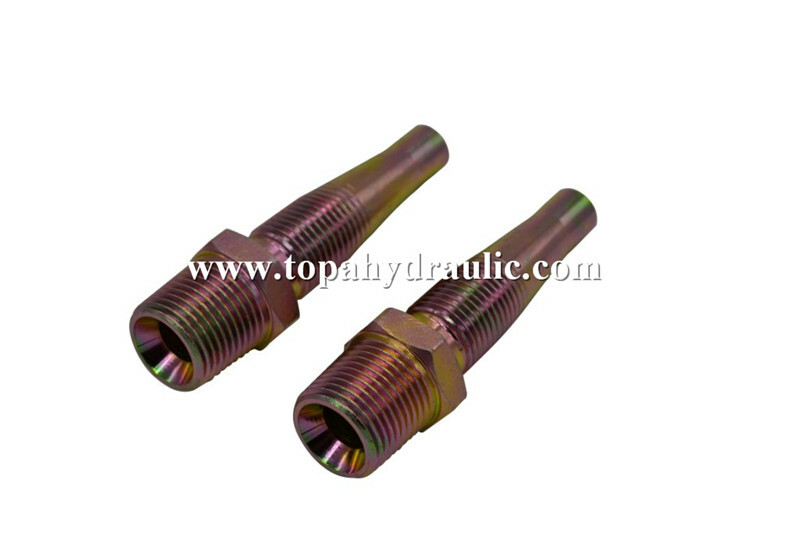 Hydraulic hose fittings, also referred to as NPT or NPTF fittings, have tapered threads that create metal-to-metal seals on the threads. 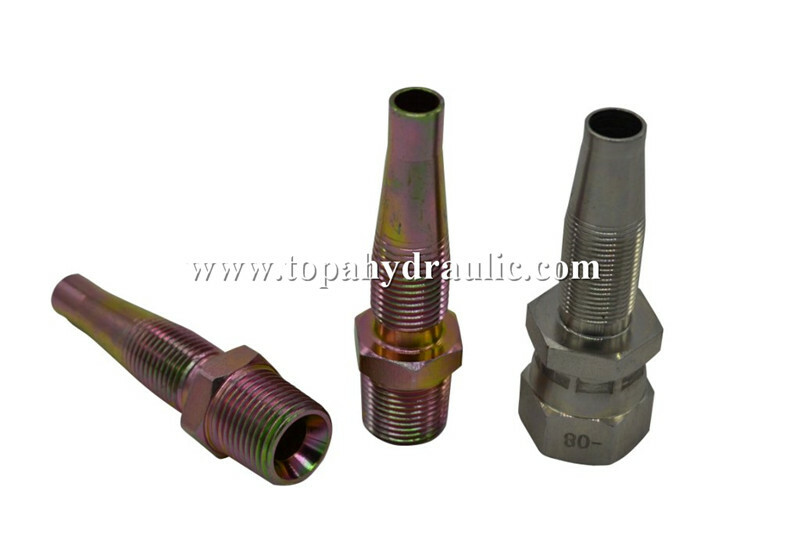 Steel JIC fittings, also called flared or 37 degree, use a tapered cone. An SAE fitting uses a straight thread and seals with an o-ring. 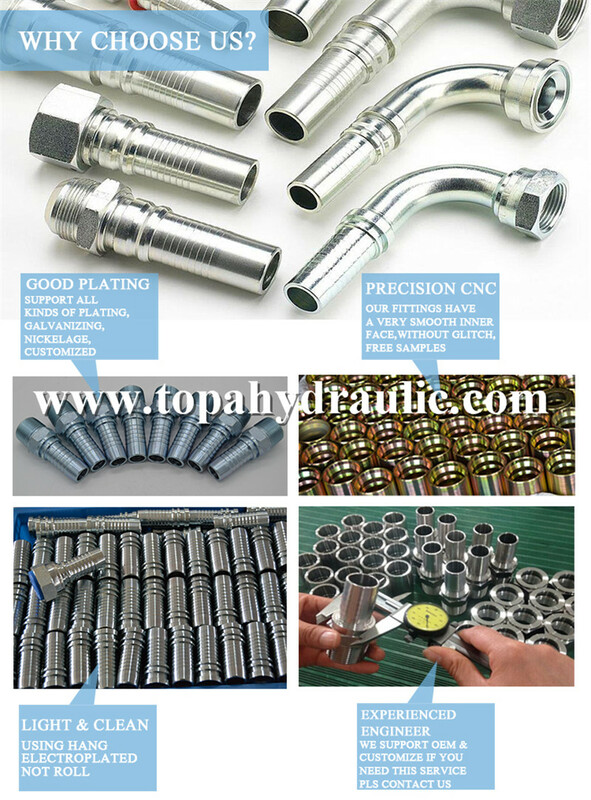 We can crimp hose assembly for our customers. 1. our fitting have threads cap, can protect the goods, ensure you can receive goods with all perfect threads. 2. each Hose Pipe Fittings will be covered by plastic cover. 3. then package by carton. 4. 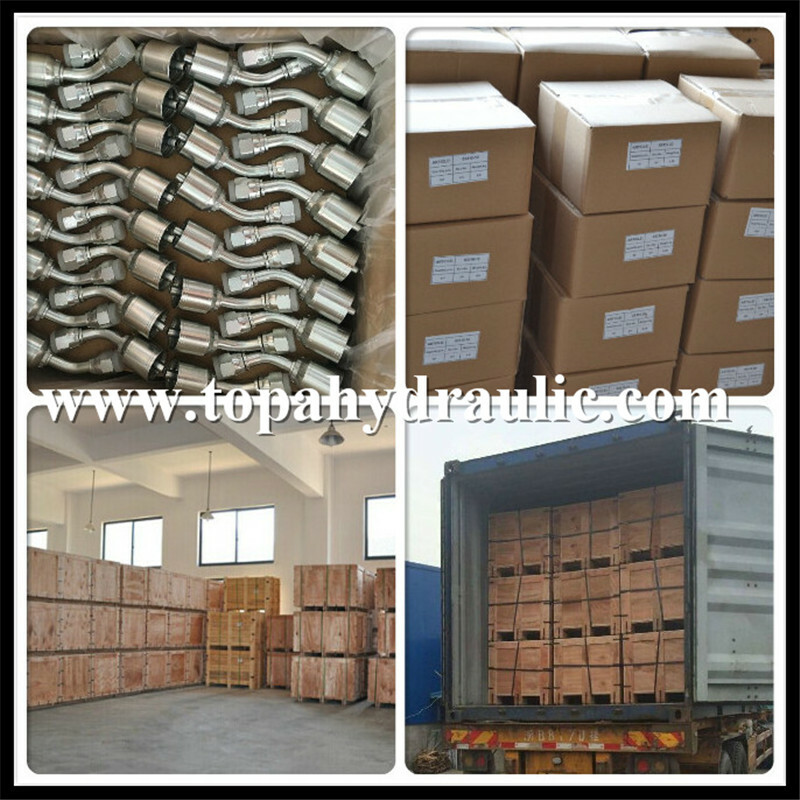 48-52 small cartons Hydraulic Pipe Fittings are in a wooden pallet. 5. our package is perfect, protect fitting clash in transport. 6. 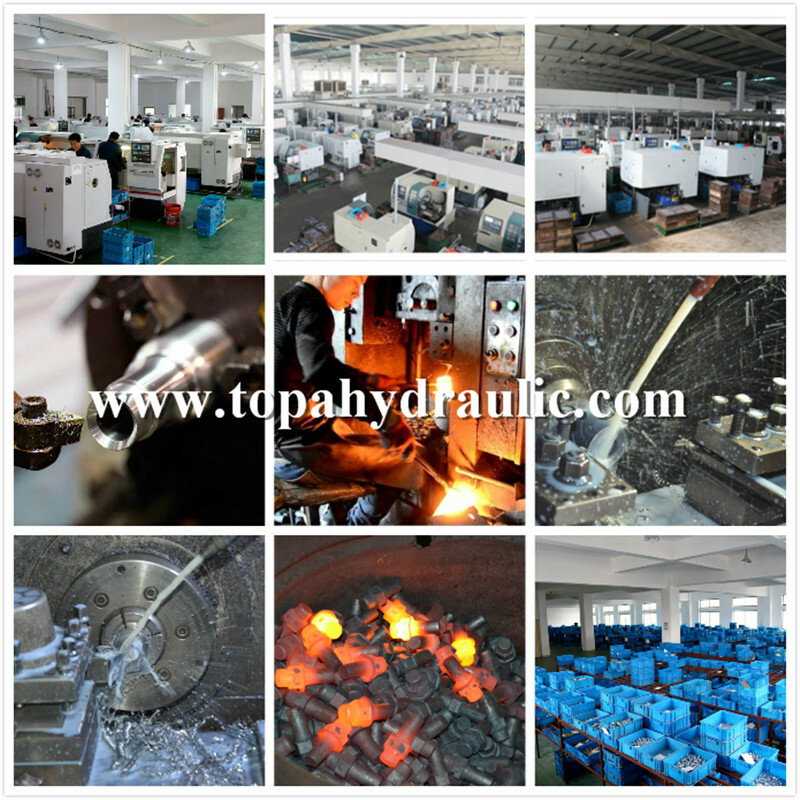 Of course, we also allow to do customized package. As we had more than 10 professional and technical personal, they ensure 100% products checking. (2).First inspection: Check first product in each procedure. (4). 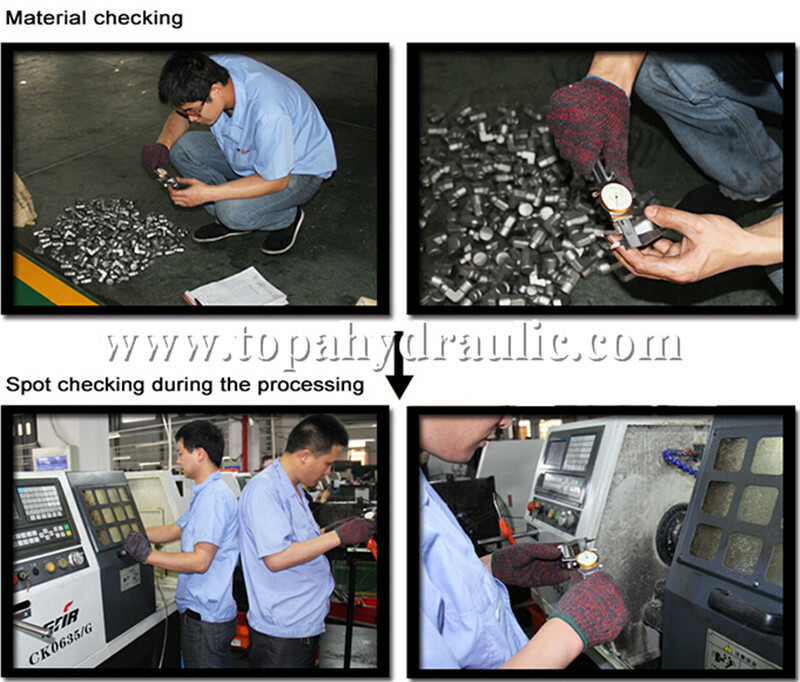 Production line test: Quality Inspector will inspect machines, lines and products at any time and any place. (5). Finished product inspection: inspection department will test and check before products are plated zinc. (6). After plate zinc: also need to check fitting size, crimp nut,quantity and finally check again, then packed and loaded. A.Sample can be offered with sample charge and courier fee by buyer's side. B.We have full stock,and can deliver within short time.Many styles for your choices. C.OEM and ODM order are accepted, Any kind of logo printing or design are available. 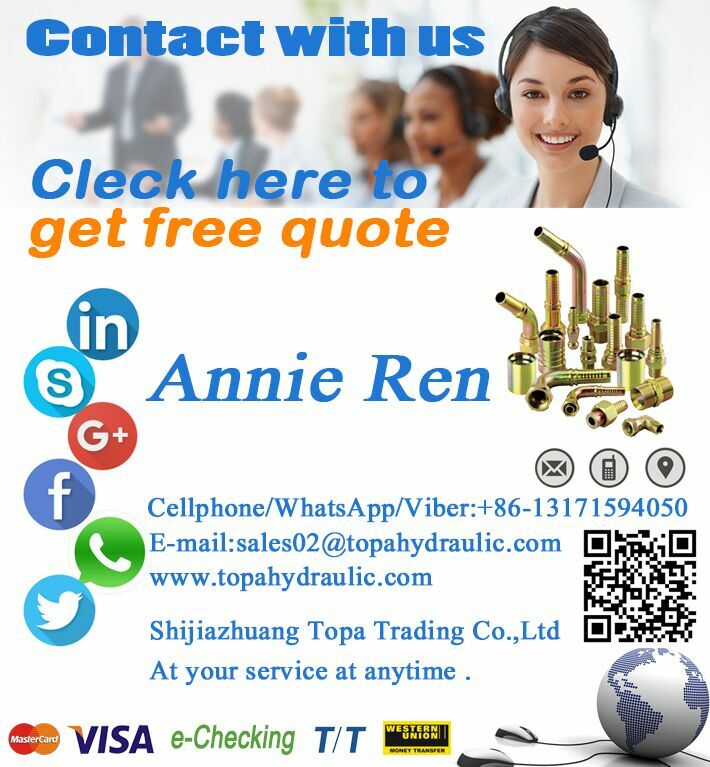 E.All of our product are produced by our professional workman and we have our high-work-effect foreign trade team, you can totally believe our service. F.We have rich experience of designing, manufacturing and selling lingerie, we cherish every order from our honor. A.You will get cheapest shipping cost and make invoice to you at once. A. We will update prodcuing process in times, take pictures for you each step. C.professional export experience, help you to get products successfuly. A.We are very glad that customer give us some suggestions for price ,products and service. B.If any question,please contact with us freely by E-mail or Telephone.